A cycle shop based at Coppull Enterprise Centre in Chorley has been highlighted as an example of creative entrepreneurship in the Financial Times. A cycle shop based at our Coppull Enterprise Centre in Chorley has been highlighted as an example of creative entrepreneurship in prestigious broadsheet the Financial Times. 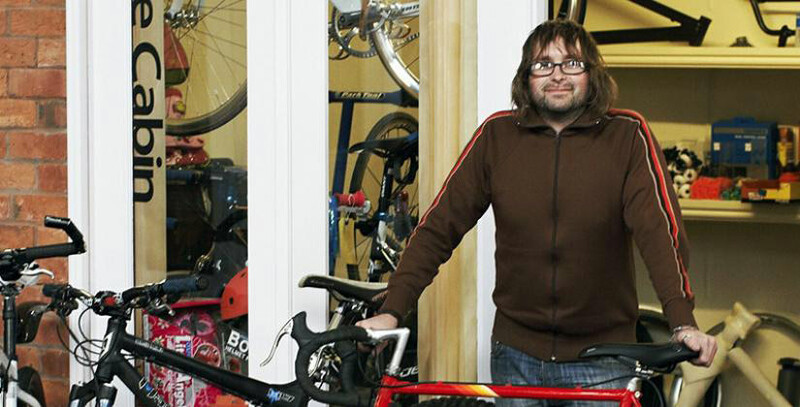 Ben Norton, owner of the Bike Cabin in our Ropeway Arcade retail area of the converted historic mill, started his business after being made redundant following 17 years working in the bicycle retail and service industry. After applying for more than 250 jobs of all kinds, and only receiving three interviews, Ben set up his own company with the help of a £250 loan from the local council. “It was sink or swim, but I felt like I had a good idea for a business which targeted a section of the market which no one else seemed to have,” Ben says. We started from nothing and then through quality service and word of mouth I have built up a strong customer base and business is definitely improving. Ben’s business, as well as a description of Coppull Enterprise Centre, was featured in an article about state support and enterprise in the Financial Times, which discusses the UK and US approach to benefits and helping people into employment. Ben chose Coppull to set up shop because there had not been a bike shop in the area for a long time. “I like Coppull Enterprise Centre as the price is right for me,” says Ben. It means I can keep overheads low and pass the savings on to customers. So, unusually for a small retailer, we can be competitive with prices of the big chain stores. Other stores in the arcade include a toy shop, tea room, ironing and alteration service and a cake studio. Coppull Enterprise Centre is a converted mill that retains many of its characterful original features. It offers a mix of offices, studio space, light industrial units, workshops, storage space, plus meeting rooms for hire, all with free parking facilities. The site also boasts a scenic lake and an on-site pub, which was originally built for workers in the early 20th century. For more information contact Business Centre Manager, Sandra Bannister on 01257 791 203.